Is it possible to set the Form Calculation Widget read only? Is it possible to set it to read-only after the calculation? I don't want users to change this value at all... because I use it to calculate the total cost. 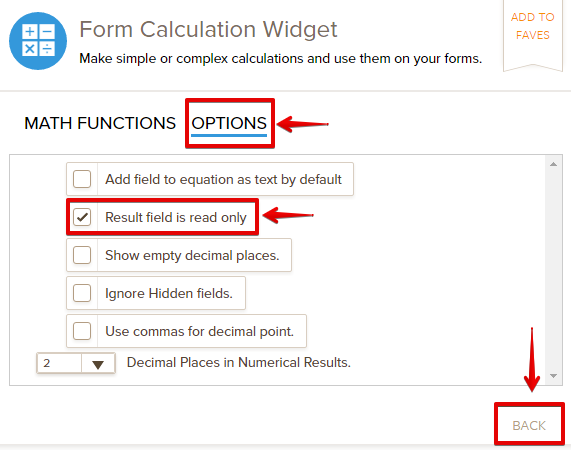 You can make the form calculation field read only. 1. 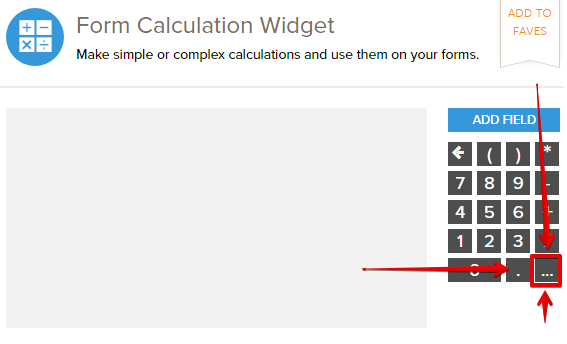 Please select "..." button from the calculation widget. 2. Go to "Options" tab and enable the "Result field is read only" option. You can follow these links to explore our Calculation widget.